The biggest change for 2018 is the return of the high performance TTRS, slotting above the TTS at the top of the TT hierarchy. The TTRS gets a bigger engine with more cylinders pumping out an impressive 400 hp, enough to rocket the TTRS to 60 mph in a claimed 3.6 seconds. However, the lesser TT models also get a few notable updates for 2018, starting with standard parking sensors across the range. New options for this year include an S line competition package and a tech package featuring a 680 watt Bang & Olufsen sound system. 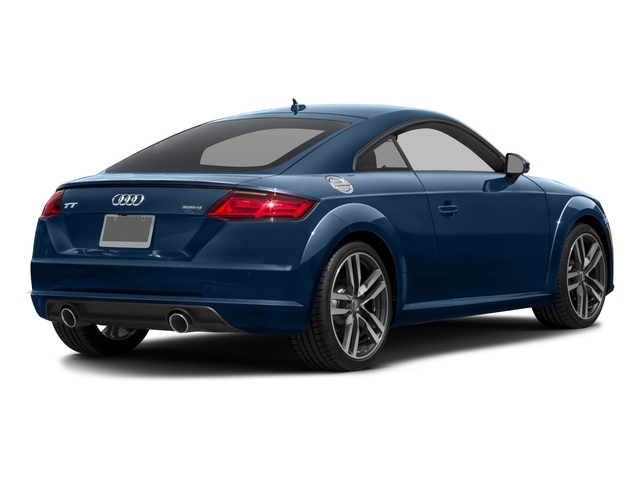 The Audi TT comes in two body styles, coupe and convertible. 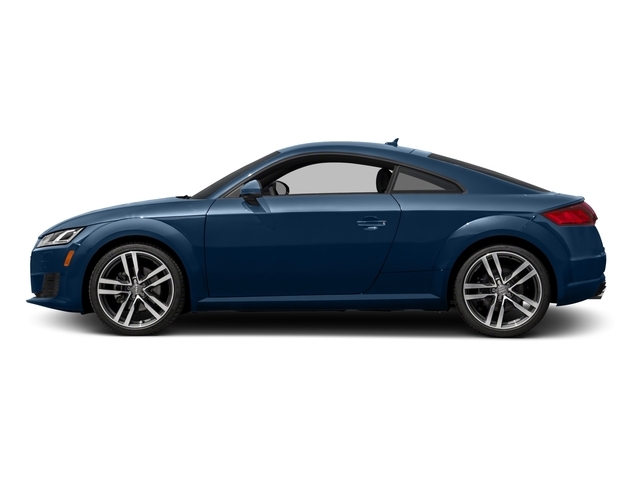 The standard TT can be had in either form, while the high-performance TTS and TTRS are available only as a coupe. All trims other than the TTRS come standard with a 2.0L 4-cylinder turbocharged engine and a 6-speed dual clutch gearbox, sending power to all four wheels. In the standard TT and TT convertible, this engine makes 220 horsepower, along with 258 pound-feet of torque. In the TTS, the engine has been retuned for performance, with a higher compression ratio and modified internals to be good for 292 horsepower and 280 pound-feet of torque. The TTRS is powered by a turbocharged 5-cylinder engine making 400 horsepower. Both convertible and coupe versions of the TT are capable of hitting 60 mph in less than six seconds, while the TTS will make the same sprint to 60 mph in under five and the TTRS can do it in under four seconds. Despite impressive performance numbers, the TT is far from a bare bones performance car. Open the doors and drivers will find a stylish cabin covered in leather and Alcantara and complete with the latest technology. Audi has always prided itself on the interior of the TT, and this latest generation proves that the commitment continues into the car's third generation. The Audi TT offers extraordinary levels of standard equipment. Standard features include a rearview camera, auto-dimming, heated, power-folding side mirrors, automatic climate control, an auto-dimming rear mirror, automatic windshield wipers, 12-way power-adjustable heated front seats, ambient LED interior lighting, a 9-speaker sound system with Bluetooth integration and two USB input slots, a 12.3-inch screen that houses the speedometer and tachometer, automatic LED headlights, LED taillights and turn signals, rear parking sensors, dual exhaust pipes and 18-inch wheels. Of course, there are plenty of options available on the TT as well. An audiophile Bang & Olufsen stereo features 12 speakers and a 680-watt amplifier. A Technology Package adds power heated and folding side mirrors, a navigation system, and Audi connect. Nicer seats featuring Napa leather are also available at an added cost. A Black optic package is available on both the TT and TTS. It adds Audi's signature Singleframe grille surround in black, with black exterior mirror housings and unique wheels with Titanium finish in 19 and 20 inches, respectively. 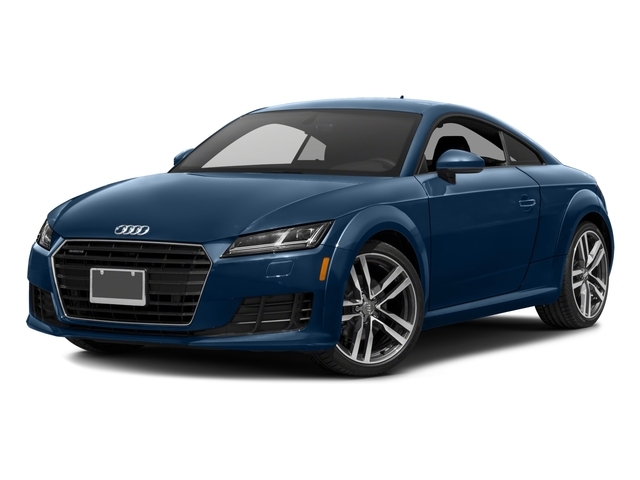 The Audi TT starts at just below $44,000, while the higher-performance TTS starts at around $53,000. This allows the TTS to undercut higher-priced rivals such as the Porsche Boxster and the Chevrolet Corvette, while still offering a cheaper base model that is faster and much more nicely equipped than the down-market Subaru BRZ or Scion FR-S. And while the TTS might be a half a step down from rivals like the Corvette in terms of absolute performance, it makes up for it by being a much more livable vehicle, with a better-appointed interior and better fuel economy. Furthermore, neither the Boxster nor the Corvette offer the kind of stability and all-weather assurance that comes with Audi's Quattro all-wheel drive system, which is standard on the TT and TTS.